Velux VSE electronically operated top hung skylights. An easy solution to bringing an abundance of light and fresh air into your home, particularly in an out-of-reach situation, is to install a Velux VSE electronically operated top hung skylight. Suitable for installation into metal roofs or tiled roofs, the Velux VSE range are the ultimate in luxury skylights as they come with a wireless control system, rain sensors, insect screens and offer high performance double glazing as standard. 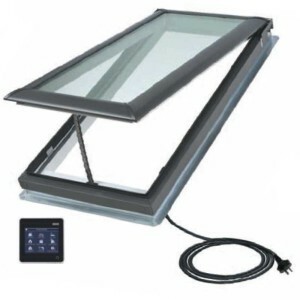 The smart looking, easy to use controller has advanced control options for both skylight and blind operation. If you have more than one skylight in the room, you can pair multiple skylights and blinds into the controller. A feature of the Velux VSE range is their internally mounted rain sensors. Exposed to rain when the skylight is open, the sensors automatically close the skylight once rain is detected. A recommended pitch of between 15 and 90 degrees is recommended for the installation of a Velux VSE skylight. If your roofline doesn’t meet the minimum recommended 15 degrees, Roofrite can build up the frame and surrounding flashings to suitably accommodate the skylight. 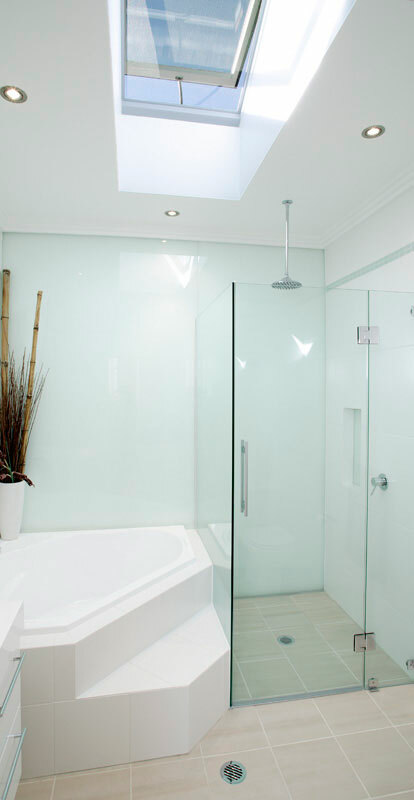 As the range comes in 9 sizes, there is an electronically operated skylight suitable for almost any situation. Though the range comes in a choice of high performance double glazing or comfort double glazing in most sizes with around 80% heat block as standard, you can also separately purchase a white electric venetian blind or have the choice of a white electric or white solar-powered blockout blind. The blinds can be retrofitted if you decide to see how the skylight performs without one first. Did we mention the Velux VSE electric opening skylight has a 5 star WERS rating and is suitable for installation in BAL 40 rated zones? Velux Skylights are now a feature of the Arlberg Snow Resort at Mount Hotham.